Congratulations! You found the home you want to buy, or you found a buyer for the home you’re selling, the offer was accepted, and now the home is in escrow. In Boston, unlike most parts of the country the escrow is help with the Seller’s broker. It can also be help in an escrow company as well. 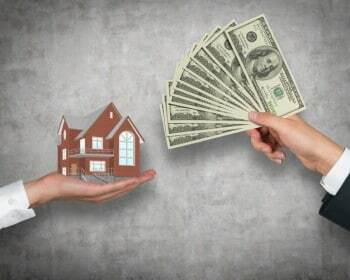 The escrow company holds the funds for your home until all the paperwork is in order, while the title company does the legwork to dig up any hidden information about the property. It can take some time, but the escrow period is not flexible, so it’s important to use a title and escrow agent that is reputable and experienced. Ask your real estate agent for recommendations, and follow that up with some second opinions from people you trust. Disclose early. Before your home even makes it to escrow, sharing any information with your real estate agent that might come up in the title search can save you headaches down the road. Example: any recent deaths, divorces, quick claims, liens on the home, or other people on the deed (especially if they live out of state). A title search is performed by a title company. They scour the property records to make sure that there are no mortgages, liens, judgments or unpaid taxes. The title company also looks for any restrictions, easements, leases or other issues that might impact ownership, and may do a property survey to ensure that the house is sitting fully within its assigned lot. Know your loan’s conditions. The most common reasons that homes fall out of escrow is that the mortgage doesn’t come through. Sometimes lenders promise loans that they can’t actually give out based on your qualifications (income, debt, etc. ), so having a great mortgage company is the first step. (We have recommendations!) Or, the problem might be on your end. When you apply for the loan, get a list of potential disqualifiers, and be sure to avoid them! For example, your lender may disqualify you if you take out a new line of credit or change employers. Early disclosure is also important here. There might be something that the mortgage underwriters discover that didn’t appear in your credit report, whether it’s an unpaid debt or other assets, all of which can affect your ability to take out a new mortgage. As your Boston real estate agent, my #1 goal is to help you get through the closing process successfully. It’s an emotional time for both the buyer and seller, with a lot at stake. While falling out of escrow does not signal the end of the world, there are definitely potential financial repercussions. Luckily, it doesn’t happen to most of my clients. If you have more questions about home buying and selling, feel free to contact my team!